Yesterday I received mail message with updates of new Twitter followers and as usual I look at their bio. To learn what their background is and what passion moves them to search, share and interact with their audience or peers. 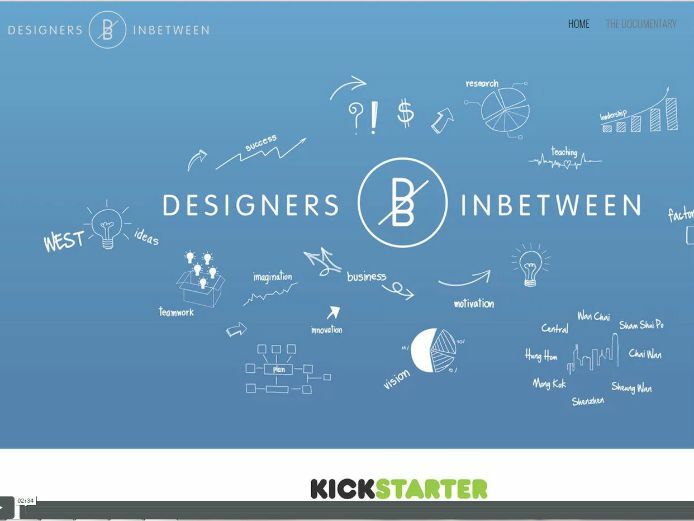 On my Twitter feed @De_Inbetween follows you: The journey of passionate designers who turn their dream into a Startup in Hong Kong http://buff.ly/1qGxTkv An inspirational description which made me reach out and respond by sending a reply tweet. They send me a DM asking whether I would join them in support, I complied by sharing their crowd funded Kickstarter project here on my blog. Jonathan Ramalho and Oliver Lehtonen, two exchange students who became enthralled with HongKong entrepreunerial spirt and started this documentary. For this story they interviewed influential creatives who’ve profoundly have impacted the industry. The documentary also uncovers how the industry in Hong Kong contrasts from the West and the rest of Asia. Exploring exciting untold stories of what it is like for a Westerner to do business with factory owners in China. Business deals are built around lunch and written on napkins rather than lawyers and contracts. Read more here. @De_Inbetween Thanks for the follow your bio very inspirational, worth to follow & spread the love. Passion and dreams make them come true!! After all ‘Passion’ is the keyword to all secrets and successes journeys. Their website homepage announced that they have gone live, the documentary premieres on 5th of December in Hong Kong.